Vicky, Vicky, Vicky – what part of “I don’t accept awards” don’t you understand? 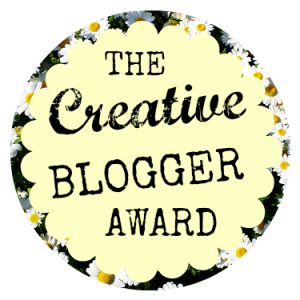 Or are you simply trying to irritate me by nominating me for the Creative Blogger Award? I’d be much more honored if you hadn’t also nominated that silly Cordelia’s Mom. Lord knows, her writing is totally useless and not worth reading, much less garnering awards! Anyway, Vicky, I’m afraid I must decline again, and I trust you won’t be making a habit of this. I’d hate to have to send ShadowPaws across the ocean to “meet” you. SEE SHADOWPAWS ON TOP OF THE TV? Now that we’ve resolved that issue, I’d like to take this opportunity to present my view on the recent Pittsburgh meet-and-greet with Anne Belov a/k/a Bob T. Panda. I was there, you know, even though everyone pretty much ignored me, as usual. I even took ShadowPaws along, as can be seen in the photo to the right. The drive itself was so-so, if you don’t mind listening to three chatty women for more than three hours each way. Next time, I’ll take a train or something and wear earplugs. Dinner was ok, if you don’t mind a chain restaurant – and the fact that there were now four chatty women. And the silliness was carried back to the hotel after dinner! Lordy, how can women who never before met each other yammer on for so long? I thought the evening would never end! TEDDY ROSALIE IS TOTALLY UNAWARE THAT I’M IN THE BACK WITH HER! At least the drive home was fairly quiet, except for the bickering in the front seat as to which street to take next – I guess that unexpected detour didn’t sit so well with CookieCakes and Cordelia. 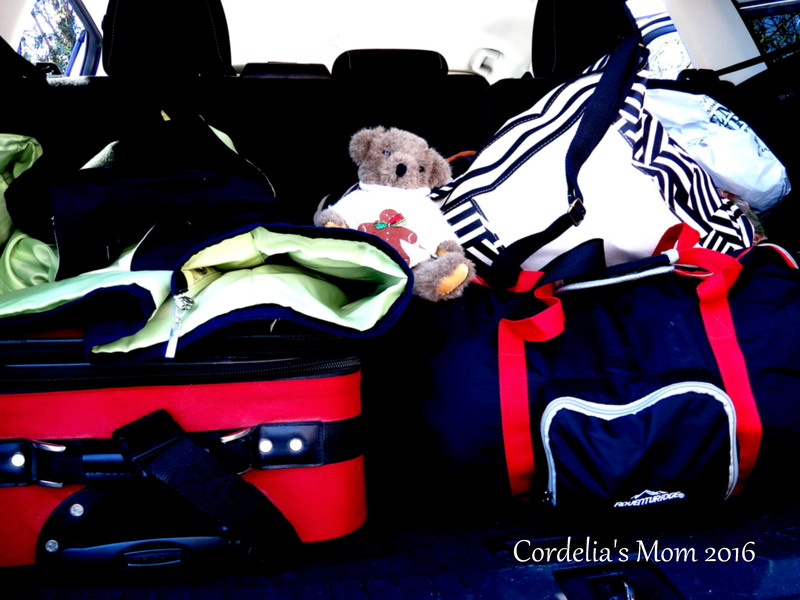 But once on the main highways, Cordelia and her sister both shut up and fell asleep, and CookieCakes was too busy driving at 80 mph to care what I was doing back among the luggage. Poor Teddy Rosalie will never be the same [snicker]. Hopefully, the next meet-and-greet will involve air travel, a five-star hotel (with room service, please), and restaurants that demand reservations rather than just letting any low-life stroll in the front door. Maybe I will set up the next meet-and-greet myself, to be sure it goes the way I want it to. Who wants to be first to meet Not CM? I’ll even let you pay for the whole thing. This entry was posted in International Relations, That's Life (Or Not) and tagged Anne Belov, Bob T. Panda, CookieCakes, Cordelia's Mom, Creative Blogger, meet and greet, Not CM. Bookmark the permalink. 8 Responses to Create This! Please do send ShadowPaws Down Under and please do disregard our quarantine laws! I’d so love to meet ShadowPaws, even though the meeting will sadly be brief. Uh huh. ShadowPaws is packing even as we speak. 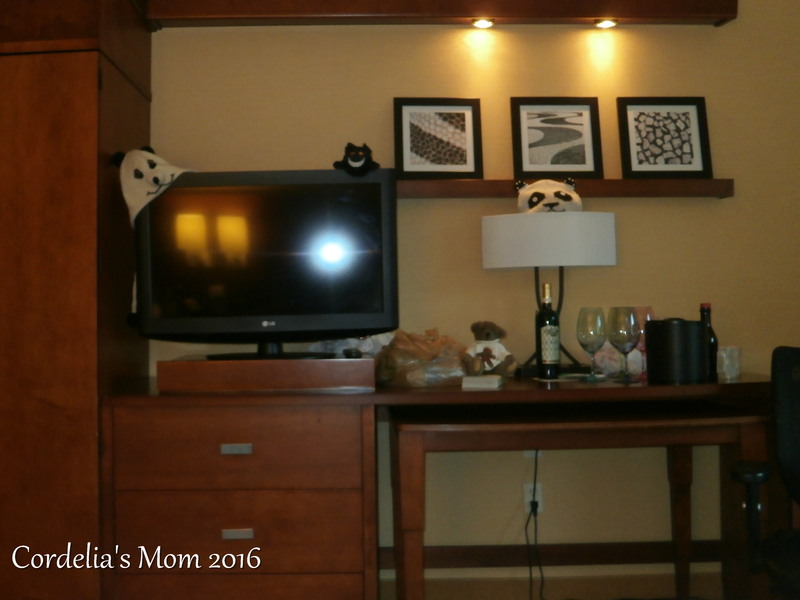 I loved that ShadowPaws posed on the Telly with a Panda hat. Isnt it nice that ShadowPaws took vsomethingspeaks up on her generous invitation. Will SP be traveling by broom? Please ask SP to kiss the Frenchies for me. I understand these specific Frenchies, umm, fluff. Usually that fluffing involves an unpleasant odor just after accomplishment, so ShadowPaws might feel kindred spirit. I wiah yoy safe Travels SP. Please give my best to CM. Thanks, Candy. ShadowPaws is looking forward to the trip.